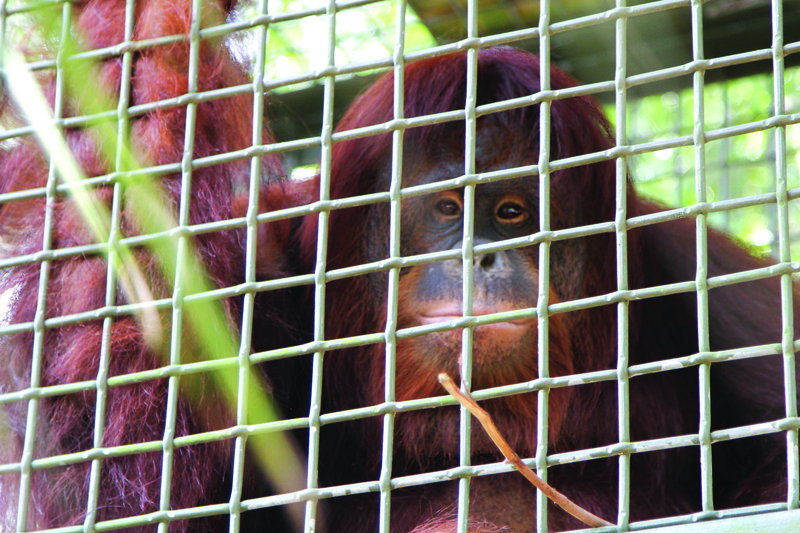 The Center for Great Apes is located in Wauchula and currently has 100 acres of land. 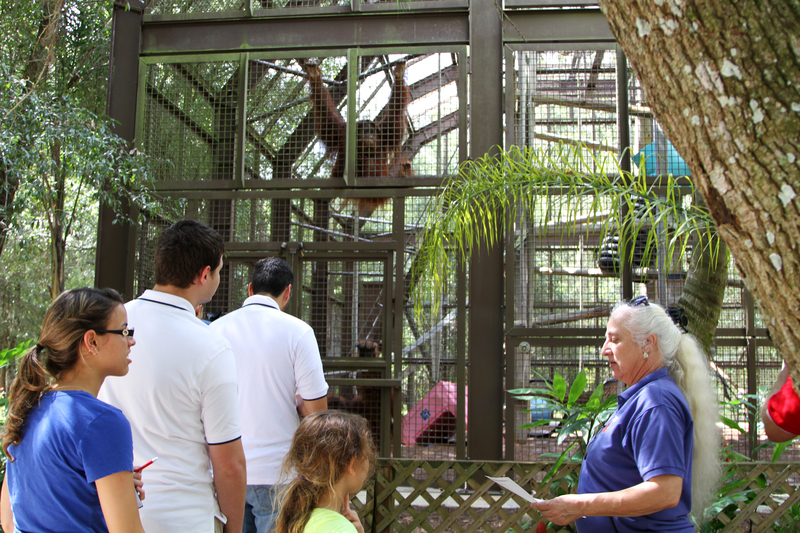 With Florida’s tropical climate, the sanctuary provides and ideal climate for its residents. In 2004, the center was hit by three hurricanes, and it almost was totally destroyed. Even though Wauchula is a small town, small numbers did not stop the citizens from volunteering. People from other towns and cities came to do their part and help. Now, the center is a beautiful, simulated rain forest that is full of life. The apes at the center all have their own unique personalities. The apes have a great relationship with the keepers. Every day is play time when it comes to these apes, and every time the keepers go by a kissing noise or shout out is sure to follow from a resident ape. One of the great ape residents is Christopher. Christopher, an adult male, was born on October 11, 1992, and is one of the two first apes to live at the center. Some of Christopher’s favorite things to do are nest making and tool use. Whenever it rains, he puts a tub over his head. Christopher is not a big fan of cold weather, so whenever it is cold outside, he will go inside and cuddle with a blanket. An ape of a different personality is Pebbles. She is a small female orangutan and is fearless. She loves swinging on vines and she likes playing in tubs of water, unlike Christopher. In the center, apes are not allowed to breed. If the apes were to breed, it would mean more apes born into captivity. One of the main goals of the center is to provide the apes with an environment similar to their natural habitat. Breeding, although common in the wild and in some zoos, is not part of the center’s plan. 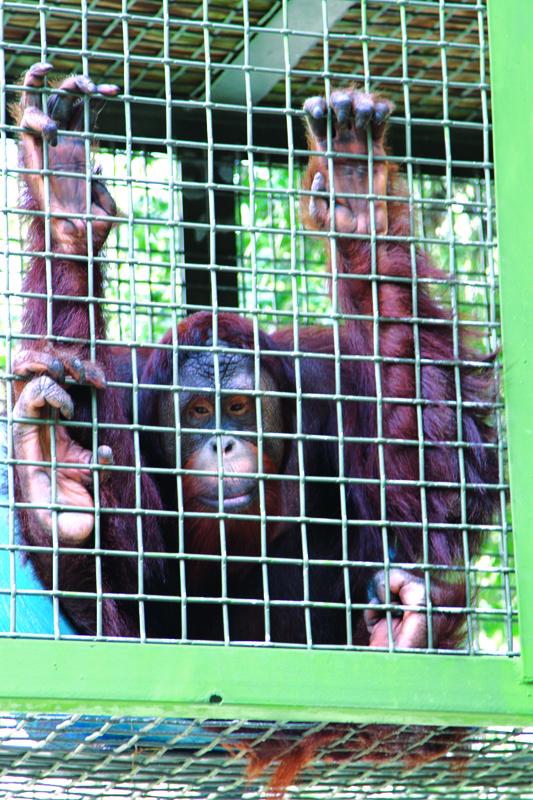 The center is home to 45 great apes. The apes are housed in domes that have a great amount of space. 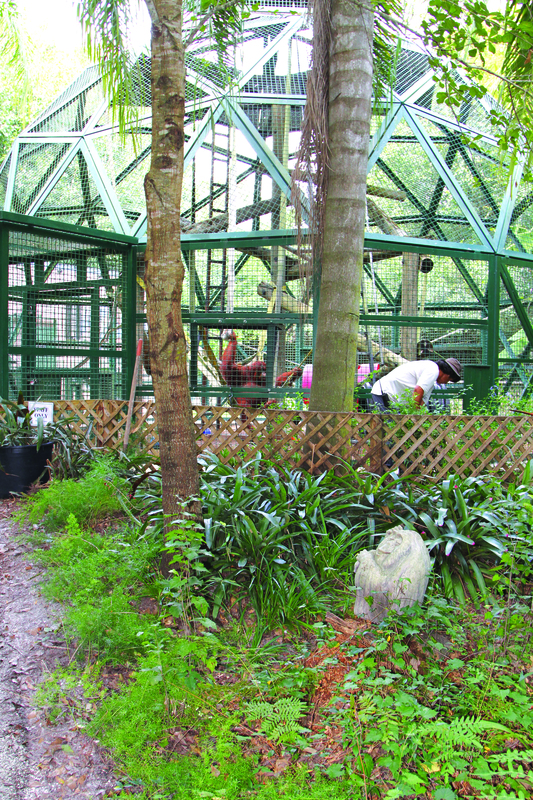 The domes connect to other domes through a series of cages and large walkways, giving almost all of the apes access to each other. All of the domes connect to buildings, so the apes have a choice to stay inside or outside. One of the buildings that connects to the domes is the veterinary clinic. This gives the residents a pathway to and from the doctor from their current habitat.